My deep appreciation to Noble Larson and Rasha Mahmoud who had the patience with me and dedication to this issue that enabled them to listen to my struggles to be as accurate as possible and to write my truth as clearly as possible - somemtimes moving on, even if it didn't seem quite "perfect." "Post truth"? The summer of Watergate I was in college. I watched President Richard Nixon on the large screen in the Student Union, usually reserved for sporting events. He declared, “ I am not a crook.” Everyone laughed. How terribly sad. Our president was such a liar that his claims that he wasn’t, elicited laughter. JFK. Viet Nam. WMD in Iraq. A minority of brave Senators in September 2002 stood up and said they could not vote to give President Bush and VP Cheney permission to attack Iraq because the “evidence” presented was not compelling. Who among the Senators believed the evidence and who voted to attack another country because it seemed the best way to get reelected or voted into higher office? Only a few had the courage to discern and speak the truth. None of the mainstream media, that i am aware of, told the truth.The debacle at the NYT is not a reasonable excuse, imho. I think a drastic infusion of “truth” is now critical to the survival of the USA - everyone listening to each other's truths and carefully expressing one's own. I think we need to explain, to share, what we see as "true", respectfully to people who disagree with us – not to talk them into our perspectives, but to understand each others perspectives. We need to listen to each other. If we find ways to do that and are open to opinions and facts that we don't think are true, we might discover that somethings we thought were true, are not. We might ask where the “other” got the information they are telling us they base their opinions on. They may ask us the same. 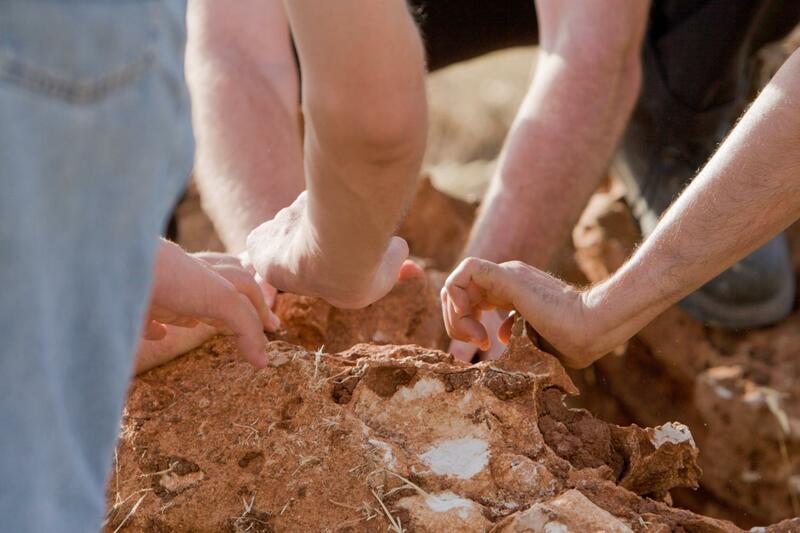 If we share our sources of information, we work together to discover which sources we can trust regarding specific subjects and which we cannot. We might challenge mainstream news media to tell the truth in ways they have not and/or support those alternative media whose reporting is more accurate. Truth vs perception. Is there such a thing as “the truth”? Imagine a table with a giant pumpkin on top. A group of people on one side of the table describes it, “it looks perfectly ripe and it has a gash that’s pierced the skin." Their descriptions are similar, but different – they may be accurately describing their own different perceptions of this pumpkin from their different perspectives. But if someone said, “that’s not a pumpkin, that’s an orange.” That is simply not true. It is, in fact, a pumpkin. In my time discovering and documenting Israel and Palestine, I’ve heard a lot of people calling "pumpkins," "oranges.” They claim they are describing their perspectives, their “narratives” – and some are. But some of these people and media are not telling the truth. I grew up believing that after the horrors of the Holocaust, the Jewish people needed their own country where they could be safe. Rather recently I concluded that is an oxymoron, depending upon how one defines "Jewish state." If it means allowing one group of people certain civil rights, legal rights, and human rights, while denying the others those rights, based solely upon religion, especially in a country that is sacred to members of multiple religions, how can that not create animosity and worse, against the state and the specially priviledged? How does that effect all the people in that state when children who are not members of the "state religion" live under military occupation laws, whose familieis are not permitted to build on their land, whose homes are invaded in the middle of the night when soldiers take youth away to interrogation and torture them, without any representation and without their families even knowing where they are for days? Without ever being allowed to go to the sea? Wouldn't such a state be unstable and susceptible to dis-ease, and eventually destruct from outside and/or within. Growing up with nightmares about the Holocaust I wondered how presumably normal people could be convinced, coerced, into making the Holocaust killing machine. I wondered if I had been there, would I have had the courage to resist? I couldn’t answer that but i knew that understanding and resisting such hatred and violence was my personal life goal. Reading Exodus in 8th grade Algebra class – yielded my only detention in Middle School after I sobbed because a main character was killed. The epic film Lawrence of Arabia swept me away into the shimmering desserts, riding a carpet of enchanting music. Both films fueled my ache for justice and for everyone to be “free,” but I couldn’t connect the two stories. Living on a Kibbutz for a month in 1985 raised some questions about life in Israel. Were our Kibbutz parents racist regarding the Palestinians? Certainly they were fearful. In 2008 I returned to Israel and to the West Bank, Jerusalem, and Sderot, bordering Gaza. What I saw turned my head inside out - grabbed my heart and won't let go. I realized I had not been taught the truth about Israel and Palestine. I watched, listened, asked questions and documented everyone who seemed to me to be engaged in the noble work of telling the truth, of stopping terrible and cruel actions against people ostensibly because of their nationality and religion - people working for justice, for fairness. The photos and stories in my project, Courage and Compassion in the Holy Land is an outcome of my quest for truth and my small contribution to a more accurate understanding of Israel and Palestine, so every person there can live with respect and dignity. And so my country will support justice and human rights for everyone there and will be a positive influence on Israel, Palestine, and the whole region. Around dawn on Saturday mornings, Israeli members of the human rights group, Ta'ayush, (and sometimes internationals) meet in Jerusalem and drive into the West Bank. Ta’ayush is an NGO of Israelis and Palestinians who work together to stop settlers from harassing Palestinians and soldiers from demolishing their homes. They also help rebuild demolished homes and provide evidence of illegal settlement building to be used in court. On this day, members of Ta’ayush visited the Palestinian Bedouin shepherd village of Um al-Arais in Area C in the West Bank. In this photo, you’re looking down from a Bedouin hilltop to a field and then up to the opposing hilltop where Israeli settles have located their outpost. The settlers plowed the field in an effort to claim it. 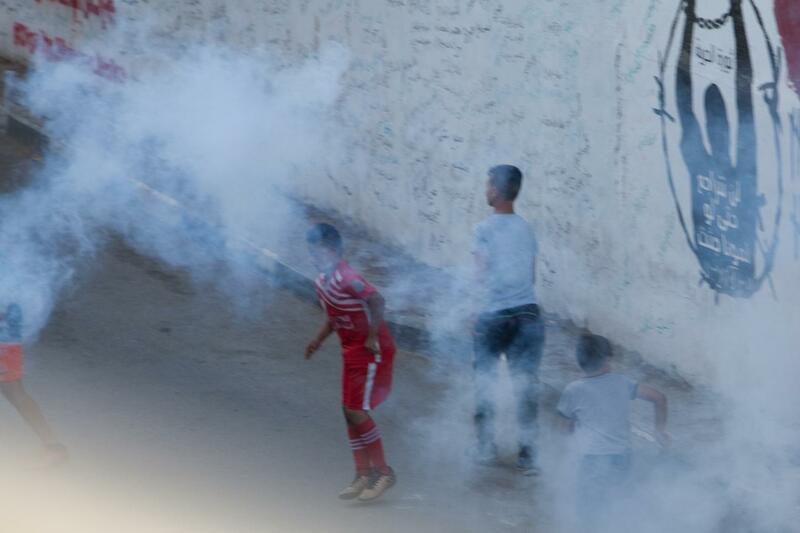 This is happening across the West Bank. Courage and Compassion in the Holy Land is my documentation of the Israelis and Palestinians who work nonviolently for dignity and safety for everyone. Some Israeli soldiers take Palestinian youth from their beds in the middle of the night for interrogation, Israeli military and settlers have confiscated most of the farmland and water in many Palestinian villages, and some Palestinian youth throw stones at Israeli soldiers. Some people drop into denial, depression, or violence - others’ spirits grow strong. Through witness and research, my project portrays, honors, and supports peacemakers and activists. Here in the US, misinformation and fear often prevent reasonable thinking and discussion. Through the photos and stories of the people I document, I attempt to insert compassion and reality into our discourse and heal fears that fuel our nation’s complicity in the horrors committed in the Holy Land. 1) Palestinian shepherds in the West Bank village of Um al-Arais and members of Israeli human rights group, Ta'ayush: #1 Shepherds, soldiers, and Ta’ayush activists October 2016 Around dawn on Saturday mornings, Israeli members of the human rights group, Ta'ayush, (and sometimes internationals) meet in Jerusalem and drive into the West Bank. Ta’ayush is an NGO of Israelis and Palestinians who work together to stop settlers from harassing Palestinians and soldiers from demolishing their homes. They also help rebuild demolished homes and provide evidence of illegal settlement building to be used in court. On this day, members of Ta’ayush visited the Palestinian Bedouin shepherd village of Um al-Arais in Area C in the West Bank. In this photo, you’re looking down from a Bedouin hilltop to a field and then up to the opposing hilltop where Israeli settles have located their outpost. The settlers plowed the field in an effort to claim it. This is happening across the West Bank. 2. 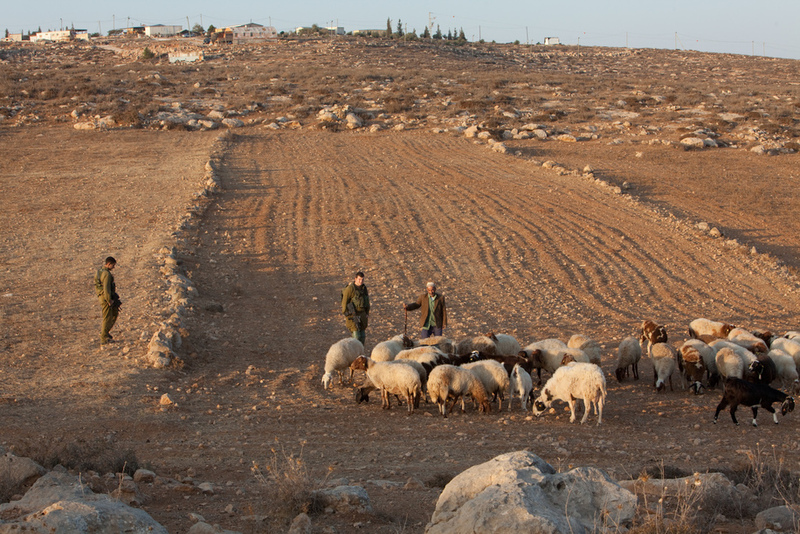 Palestinian shepherds and members of the Israeli human rights group, Ta'ayush, in the West Bank village of Um al-Arais: #2 December 2012 To maintain the shepherds’ claim on this land, the shepherds and activists walked across the field toward the outpost. They met the soldiers and settlers on the hill near the outpost. 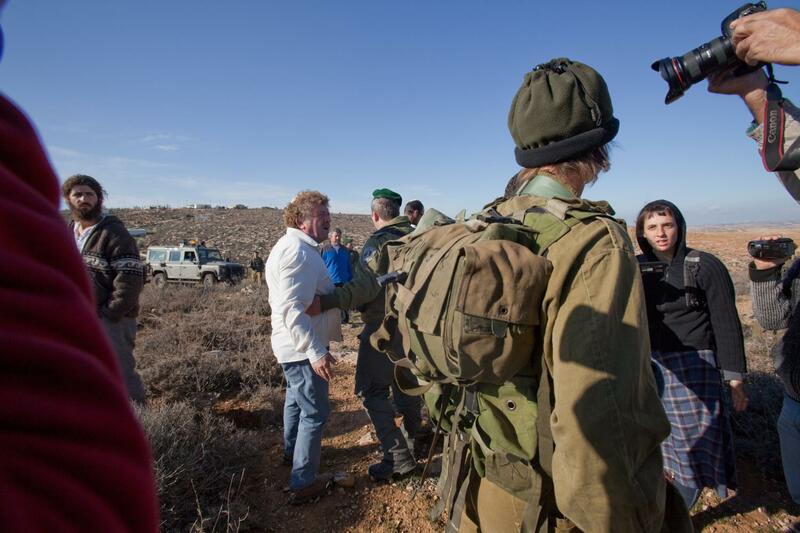 In this photo, the settlers (in a white shirt and in a brown sweater) seemed upset that the soldiers allowed the shepherds to reach the settlers' side of the field. The young woman in this photo, staring disapprovingly at the Israeli soldier, is an Israeli member of Ta'ayush. I observed similar nonverbal exchanges between another Israeli woman activist and another soldier. Many settlers, soldiers, and activists shot photos of the "others." Cameras are often the preferred weapons at these confrontations. 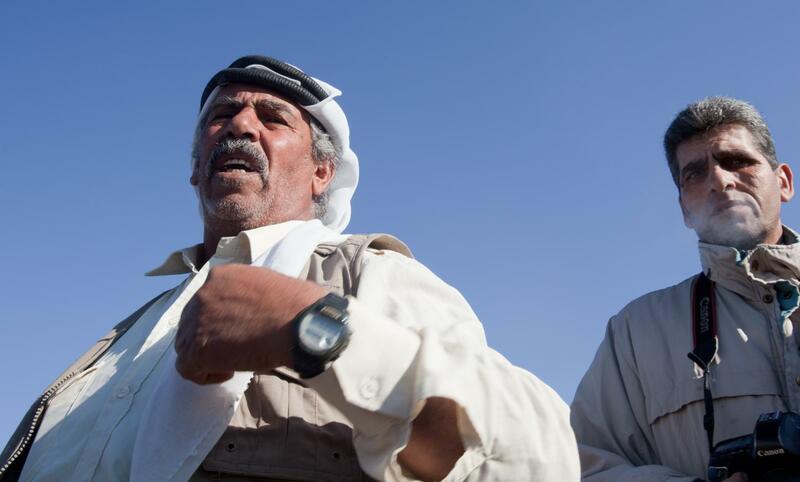 3) Palestinian shepherds and members of the Israeli human rights group, Ta'ayush, in the West Bank village of Um al-Arais: #3 December 2012 Many Bedouin were moved in 1948-49 from areas in the Negev that came under Israeli control, to the West Bank. The Bedouin bought or leased land from Palestinian owners. The Palestinian family that owns the land of Um al Arais arrives every Saturday morning with coffee for the shepherds and their families and for members of Ta’ayush. In the midst of the confrontation among the settlers, shepherds, soldiers, and activists – this Bedouin declared his right to be on his land. The soldiers got an order declaring the outpost to be a closed military zone. The shepherds and activists and had to return to the other side of the field or be arrested. The settlers are exempt from the military zone rule. 4) Palestinian shepherds and members of the Israeli human rights group, Ta'ayush, in the West Bank village of Um al-Arais: #5 December 2012. The children nonviolently resist. 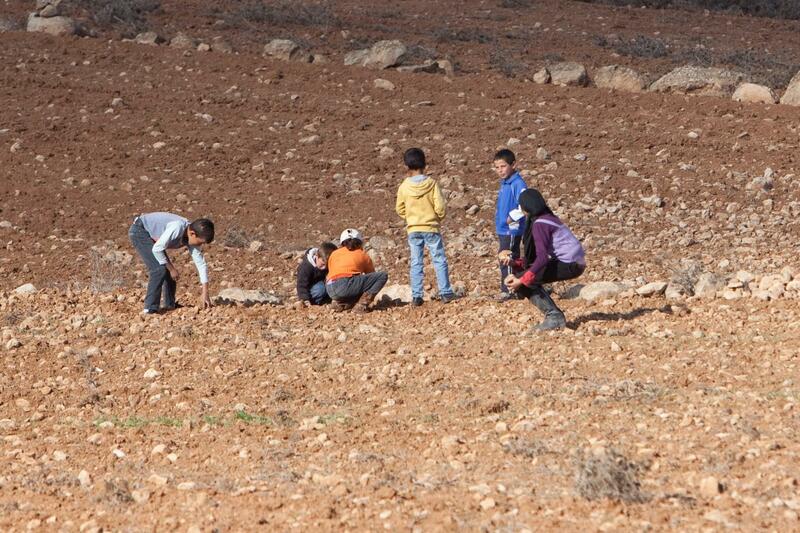 The shepherds, landowners and their children, and Ta’ayush activists sat and talked on the Bedouin hillside – until an unusual action grabbed everyone’s attention. A group of shepherd children had returned to the field. At first people couldn’t see what the children were doing, but then it became clear – the children were removing stones from the land. In defiance of the military order to leave, they were claiming the land by clearing it. They had witnessed their parents getting arrested for less. The settlers gathered like storm clouds on their side; soldiers trudged to the shepherds' side of the field. 5) Palestinian shepherds and members of the Israeli human rights group, Ta'ayush, in the West Bank village of Um al-Arais: #4 December 2012. Shepherd girl This shepherd girl is reacting to the creativity and courage of the children clearing the field. The soldiers left the settlers, walked across the field, past the children, to the shepherds and Israelis. They talked until after the children left the field and the Ta'ayush people left the village. On the climb down the mountain Amiel, a member of Ta’ayush, explained that the soldier leader asked members of Ta'ayush to get the children off the field. The Israeli activists refused and asked why the soldiers didn't do this. The soldier commander admitted that his soldiers felt uncomfortable forcing the children off the field. Eventually the children left the field of their own volition. No land was returned that day, but the combination of courageous acts contributed to a feeling of a small moral victory. 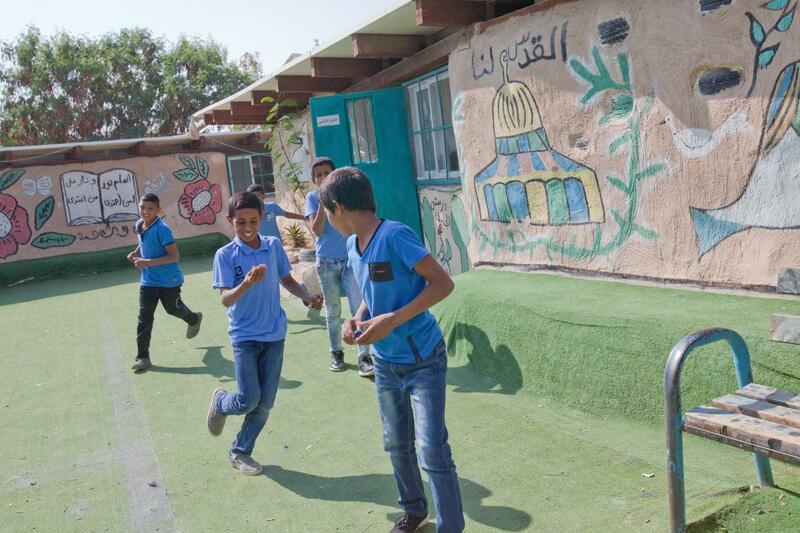 7) Khan al-Ahmar, #2 When I visited this class, the students recited the English alphabet for me. When I asked them if there is a message they’d like me to take back to the United States, one boy raised his hand. 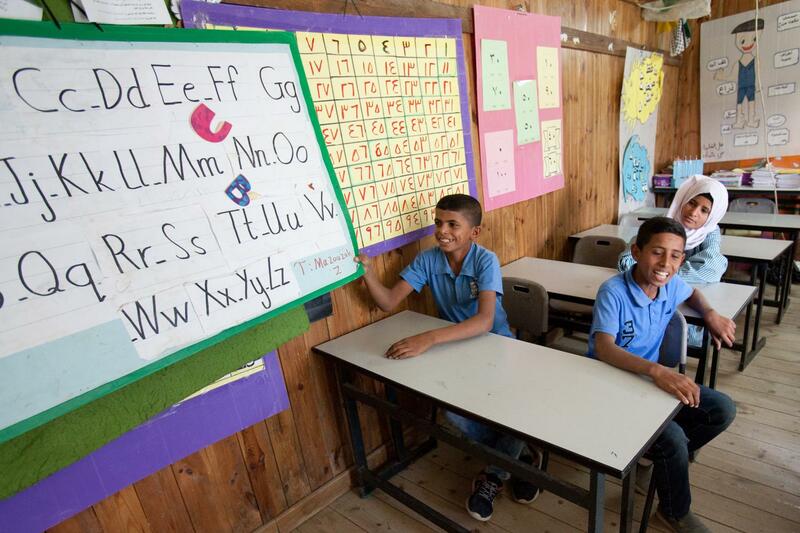 The teacher translated, “tell them the Israelis want to demolish our school.” As more Americans have learned about this situation, more members of Congress have criticized Israeli demolitions of homes and this school in particular. Europeans and Israelis protest as well. After the Israeli high court ruled in May, 2018, to allow the demolitions, bulldozers moved into Khan al Ahmar in June. Israeli soldiers beat Palestinian and Israelis who nonviolently attempted to block demolitions. 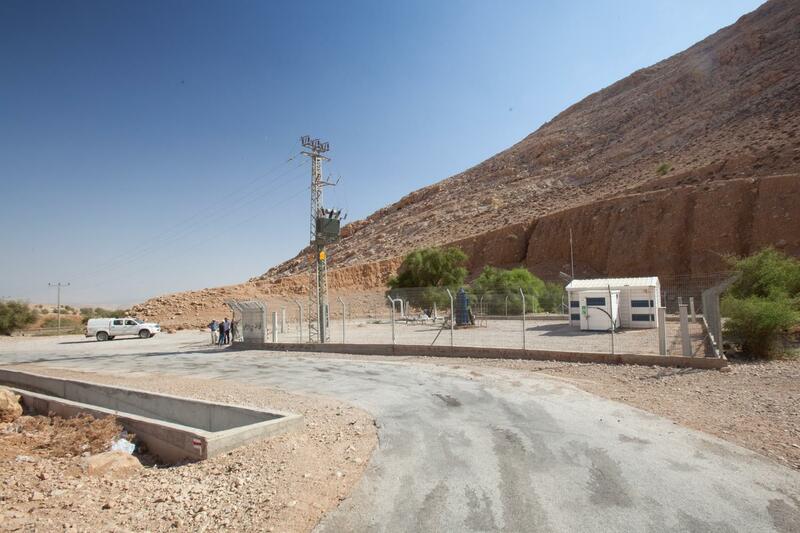 In July, Khan al Ahmar was given another reprieve until early August, 2018. When members of the US Congress stop objecting, this school and these homes may be demolished and the residents of Khan al-Ahmal evicted and forcibly transferred to the area next to the dump. 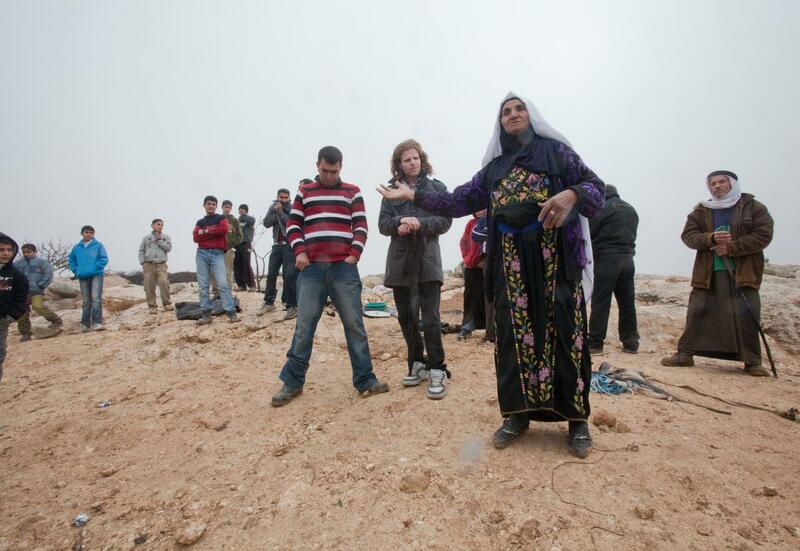 8) The West Bank Palestinian village of Susiya in the South Hebron Hills and Breaking the Silence: #1 January, 2011 Standing in a light rain with some of the men in the village of Susiya, Haja Sarah addresses Israeli and international visitors who accompanied the Israeli NGO, Breaking the Silence (BTS). Standing behind Sarah is a veteran of the Israeli Defense Forces (IDF) who is a member of BTS. BTS is an organization of veteran combatants who served in the Israeli military. They share with the Israeli public their military actions in the Palestinian territories, which at the time, for many of them, seemed normal. But retrospectively, some decide that actions they took were cruel and served no productive purpose. They try to rectify some of the pain they caused by reporting their actions to the Israeli public and advocating for an end to the Occupation. They say this is the best hope for creating a healthy and safe place for Jews, Muslims, Christians and anyone else. Haja Sarah laments to the group about local settlers throwing a Molotov cocktail during the night, a few nights earlier. It landed on her tent, setting it on fire. 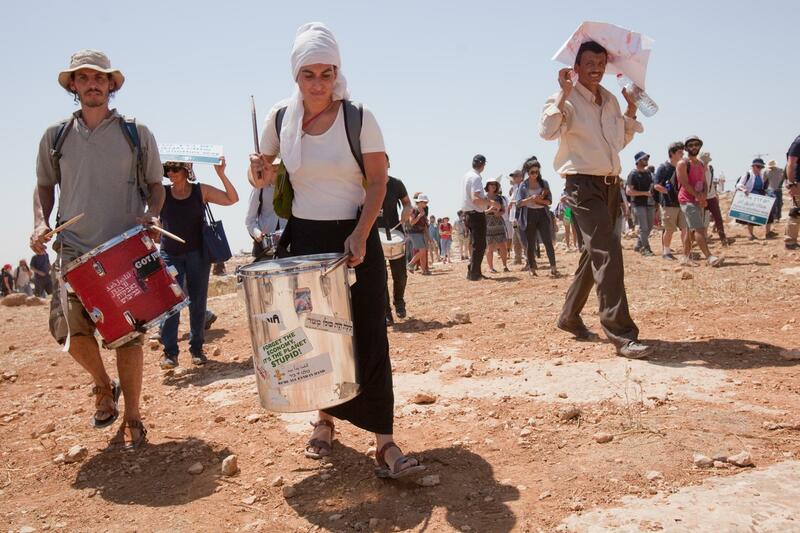 10) Susiya #3: Protesting demolition orders in a heat wave. July 2015 A demonstration of Palestinians, Israelis, and a few internationals against the proposed demolition of Susiya in July, 2015, challenged the protestors with temperatures of well over 100 degrees F. But that did not deter the Israelis who filled approximately five buses in Tel Aviv and as many in Jerusalem, to venture into the desert to join Palestinian protestors where there would be little protection from the sun and heat. A woman marching behind the two drummers and a man on the right side of the photo are carrying signs, “There is another way,” from the Israeli-Palestinian NGO, Combatants for Peace. Susiya is another Bedouin West Bank village with a relatively high profile in the US and Europe. While many Susiya abodes have been demolished over the years, it seems that Israeli and international protests have helped prevent the Israeli government from destroying the whole village – so far. As with Khan al-Ahmar and other villages in Area C, public pressure seems to provide only temporary and tenuous relief. 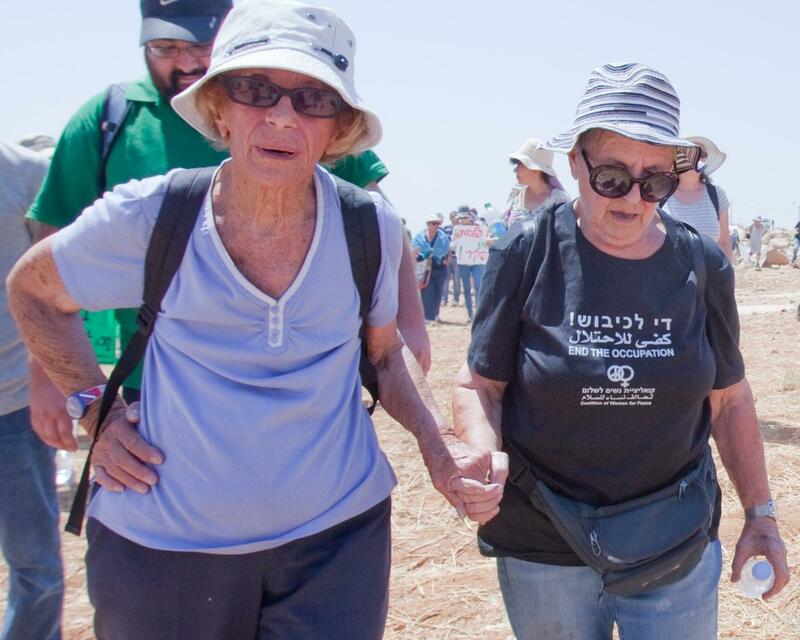 11) Susiya: #4 Protesting demolition orders in a heat wave: Two Tough Israelis, July 2015 These two Israeli women tough out the heat together, demonstrating their dedication to stopping the destruction of the village of Susiya. 12) Susyia and Ta’ayush: #5 October, 2017 On this day, two men and a woman from the Israeli NGO, Ta’ayush, and Nasser Nawaja, (blue shirt) and another man from Susiya met on Susiya land. 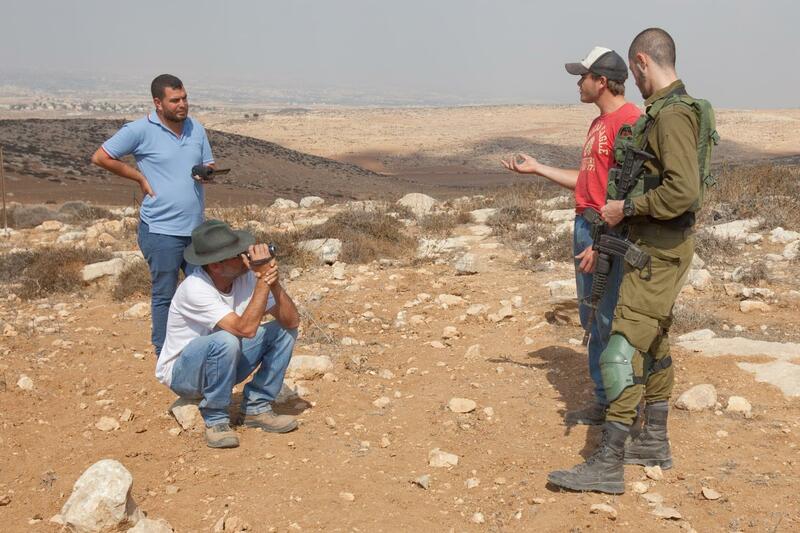 Their task was to photograph a fence that Israeli settlers are building on Susiya land. Guy, one of the Ta’ayush leaders, explained that a family from South Africa, frustrated after Apartheid ended there, came to settle in the West Bank to live under another apartheid. Guy set up a compass and camera to take photos of the fence, then one of the South African settlers (in the red shirt), arrived. He walked past Guy and grimaced, flexing his hand as if he might hit Guy. Guy ignored him. Soldiers arrived and the settler walked to the road and talked with them. A higher ranking soldier arrived, talked with the settler, then took the Palestinians' IDs and my passport. Guy talked with him, then warned me we were about to get arrested. People shifted in and out of different groups. Tension seemed high. In this photo, Nasser on the left, the settler in the middle, and a soldier sat together and avoided each other. 13) Susiya and Ta’ayush: #6 Quiet drama. October, 2017 No one was arrested. What seemed like a carefully choreographed maneuvering of positions continued. For a while I sat beside the soldier in these photos. I asked him about being a soldier in Susiya. He didn’t want to talk about it - he said he’d rather be at the beach on this hot day. I reminded him that Palestinians, some of whose families have lived here for centuries are not allowed to go to the beach, not on any day, ever. He gazed silently at the ground. In this photo, Nasser and the settler talk in Hebrew. The other Ta’ayush leader, also named Guy, filmed. This is one incident like hundreds of others, where Palestinians and Ta’ayush activists are resisting theft of Palestinian land. They are slowing the theft, but some of them say it will take international involvement to stop it. 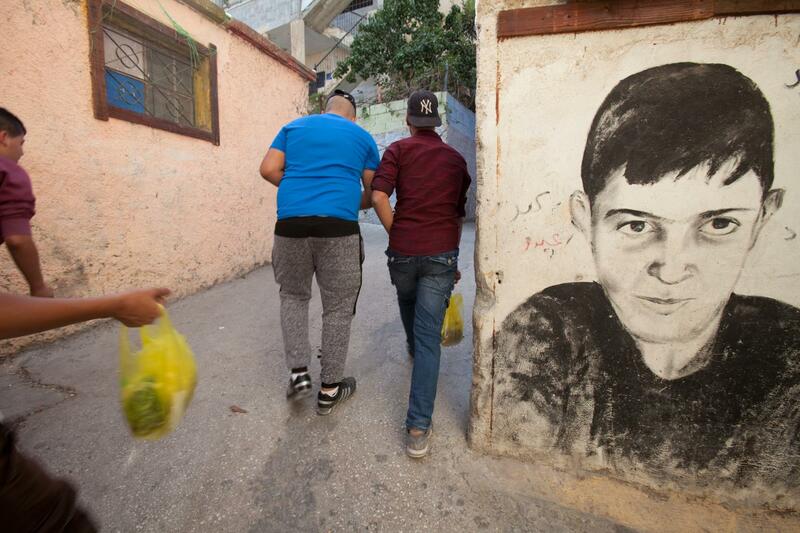 14) The West Bank village of Nabi Saleh, northwest of Ramallah: #1 Bassem Tamimi. October, 2016 Nabi Saleh homes, some constructed centuries ago, are in Area B. Their farmland, olive groves and water pool are in Area C. The Oslo Peace Accords in the 1990’s gave the Israeli government temporary military control over Areas B and C, as a first step in five year plan for an independent Palestinian state. In the 25 years since signing Oslo, Jewish settlers have continues to take more and more land and resources from the promised Palestinian state. In 2009 I learned about settlers beating up Nabi Saleh residents as they bathed in their spring fed pool. Eventually, the people from Nabi Saleh relinquished their pool. But they’ve been protesting the theft of their land, in demonstrations in their village - deadly demonstrations, ever since. 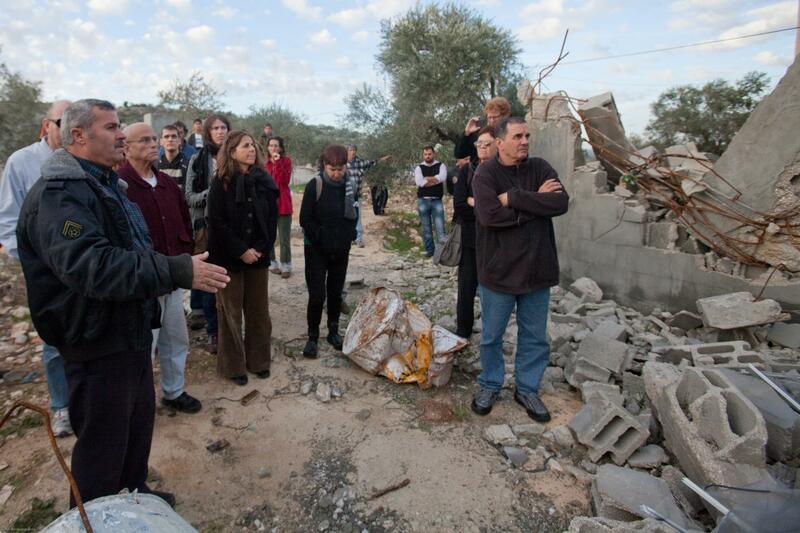 In this photo Nabi Saleh leader, Bassem Tamimi, is showing attendees of a Nabi Saleh cultural conference, the Halamish settlement (upper left, across the road). The pool is hidden within a cluster of trees (left of the woman in a red blouse). Bassem’s good friend, Israeli Miko Peled and Miko’s wife are in the crowd. 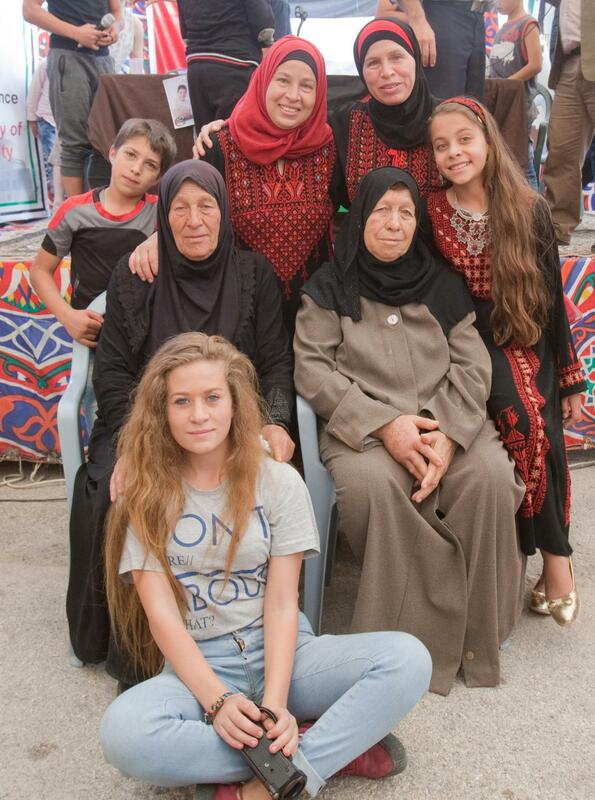 15) Nabi Saleh: #2 Tamimi women, October 2016 Activist Ahed Tamimi, (center front) does not stand alone. Nariman, Ahed's mother and Bassem’s wife (red head scarf) has been shot and arrested multiple times. One of Nariman's brothers was shot dead during a demonstration – she filmed it. I stayed with them in October 2015- Ahed stayed with a friend so I could sleep in her bed. During a demonstration the next day, which I missed, a soldier caught the youngest Tamimi boy (far left) in a headlock. Ahed and Nariman ran to his rescue – biting and hitting the soldier until he released the Tamimi boy. Ahed gained international attention in December 2017. She heard that an Israeli soldier shot her cousin in the face. Then two soldiers walked into her front yard. A video that went viral captured Ahed walking up to one of the soldiers and telling and motioning him to leave. Maybe her hand touched his arm, hard to see. He pushed her. She hit him on the cheek. A few days later soldiers arrested her in a night raid. Ahed and Nariman were released on July 28, 2018. 16) Bilin, West Bank: #1 November 2017 Bil’in leader, Iyad Burnat (right) wrote the book, Bil’in and the Nonviolent Resistance. His brother, Emad Burnat, filmed the footage for 5 Broken Cameras, a 2013 Oscar semi-finalist for best documentary. The book and film recorded settlers destroying Bil’in’s olive trees, constructing the settlement of Modin Il’it, and building the Wall on around 60% of Bil’in’s farmland. In 2007 an Israeli high court ruled that the wall must be moved. In July 2011 the wall was moved, returning about 150 acres of village land to Bil’in, but another 340 acres of village land remained on the Israeli side. In this photo, Iyad is visiting a friend who is farming land that was retuned. In the background is the Modin Il’it settlement, built on land belonging to Bil’in and four other Palestinian villages. In 2016 the Israeli government issued demolition orders for the fence and greenhouses on this small farm. Regardless, the farmers continue to farm. 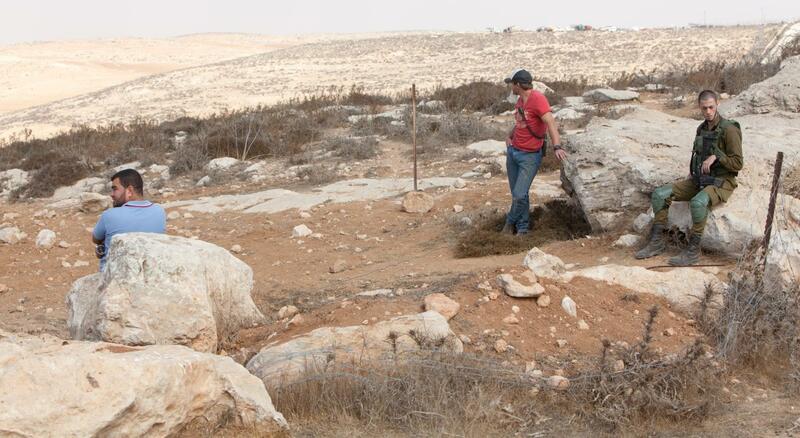 Down the road, a Palestinian farmer was building a stonewall around his farm. He noted that soldiers tore down the first walls he built and were likely to destroy that one, also. 20) Hares: #3. 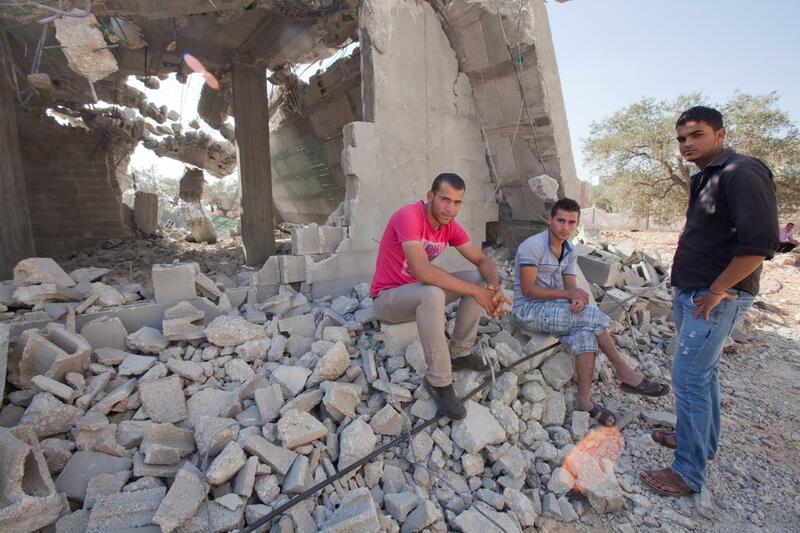 Home Demolition, November 2012 Young men sit in front of the rubble of what was an extended family home. Feeda Gabar Hussein planned to get married in a few months, so his family built an addition to their home. 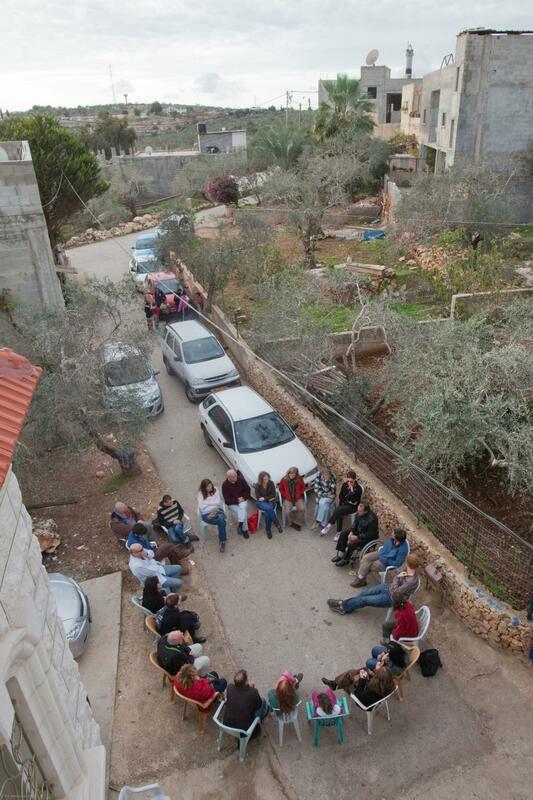 The day prior to taking this photo, Israeli soldiers bulldozed both the family residence and the new addition. Now the whole family is homeless. An Israeli judge (who reportedly lives on a settlement) ruled that 3 houses in Hares should be demolished for being built without a permit. The next day, according to a report from EAPPI, 200 Israeli soldiers, two bulldozers, and 15-20 military vehicles entered the Village to demolish the homes. The mayor received a “stay of demolition” and planned to appeal the decision, but the Israeli commander decided to demolish anyway. The families resisted nonviolently, locking hands in a human chain to protect homes. 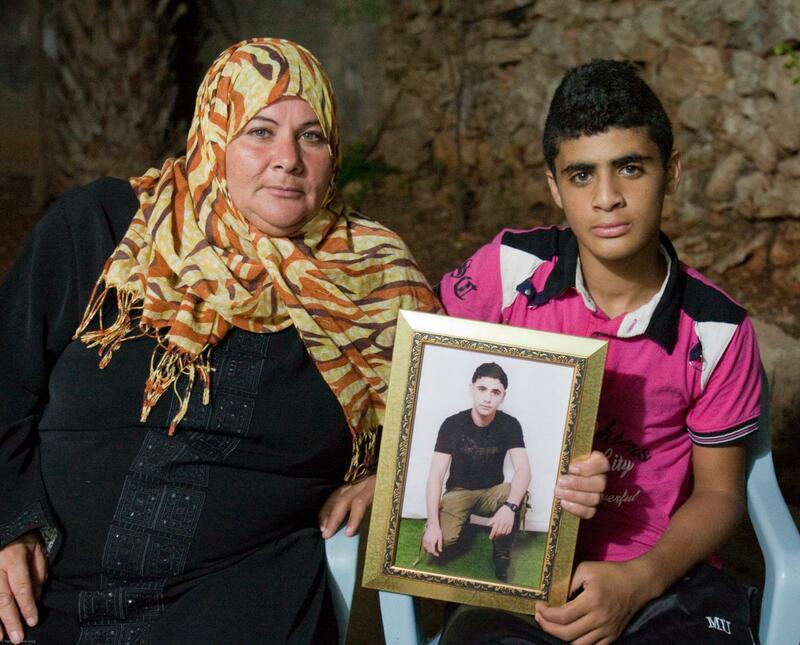 The soldiers shot tear gas, sound bombs, and bullets; They beat the mother of one of the owners, breaking her hand. Soldiers tied one of the owner’s hands while they demolished his home. 21) West Bank Village of Hares, #4.Village Council Meeting, November 2012 The day after the chaos of two homes demolitions in Hares, the Village Council met to discuss how to protect other homes from demolition. Villagers and internationals from Ecumenical Accompaniment Programme in Palestine and Israel (EAPPI) and International Women’s Peace Service (IWPS) also attended. Nasfat, the Coordinator of the Committee Against the Wall and Settlements for the Salfit Governorate, said that 30 of the houses are still at risk because they are located in Area C. Several villagers discussed how, when signing the Oslo Accords, Palestinians expected the entire West Bank to be under Palestinian governance after 5 years, to work towards statehood. That never happened. One of the villagers said, “These are our lands and we have papers that say that. OK, we need a permit. 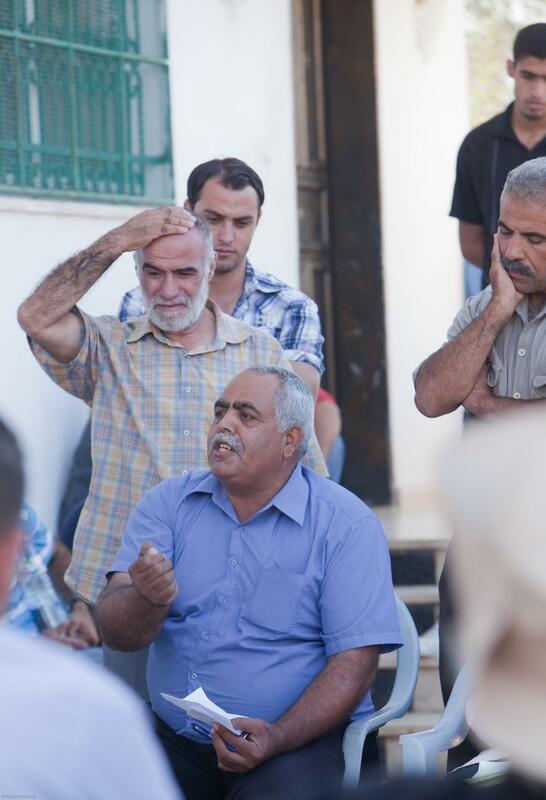 We go to the court and they won't give them because we are Palestinians. We are struggling to live in peace. Struggling to live in our homes not [with] bulldozers. 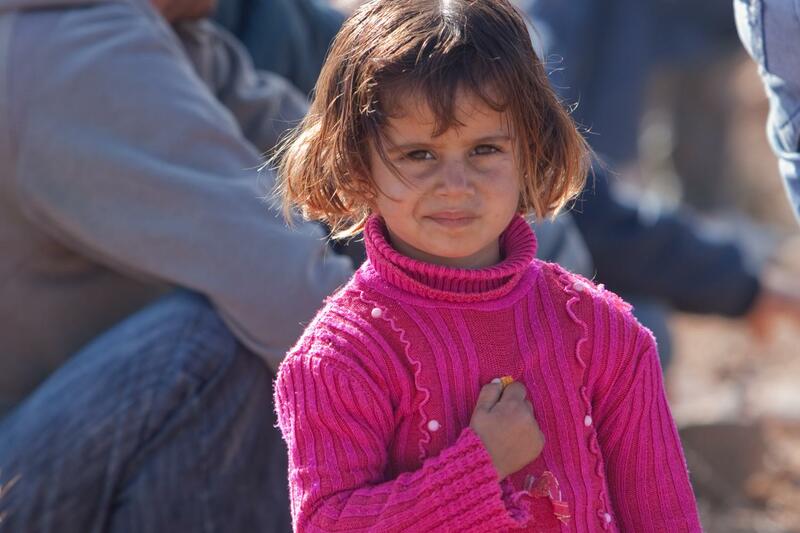 You see with your eyes, [now] ask your government to stop." 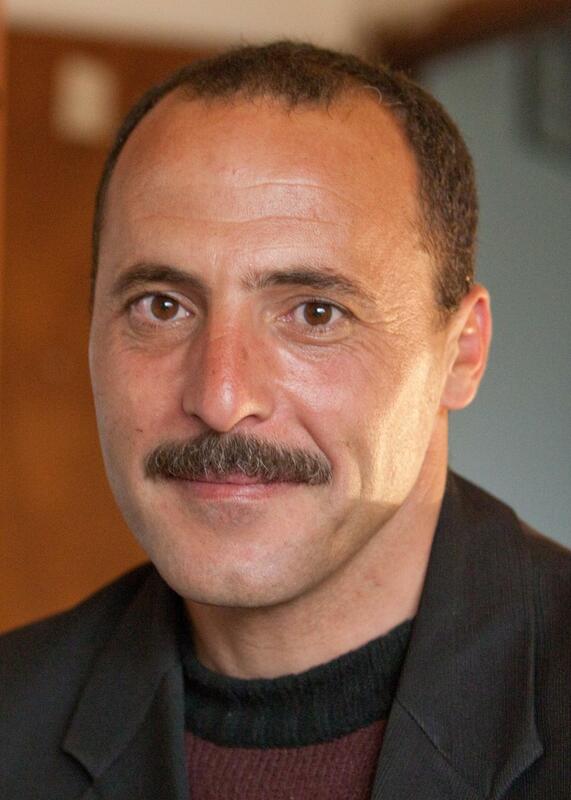 He asked us to not just talk about Palestinian rights, but to work for them. 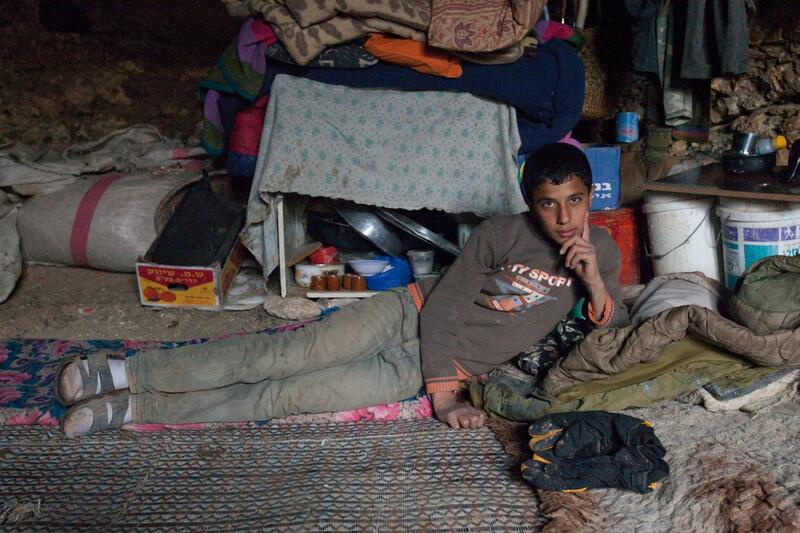 25) Aida refugee camp, Bethlehem: #1. Teens delivering bags of vegetable seeds, October 2017 A Palestinian woman who works at the Al Rowwad Cultural and Theatre Training Center in Aida Camp showed me several rooftop gardens, and one at street level, where people grow their own vegetables. I’d noticed at the outdoor produce market in Ramallah, it was difficult to buy vegetables grown on a Palestinian farm – most produce comes from Israeli farms. Palestinians have told farmers don’t have enough water and sometimes settlements have taken their farmland, so they cannot grow enough food to sell. 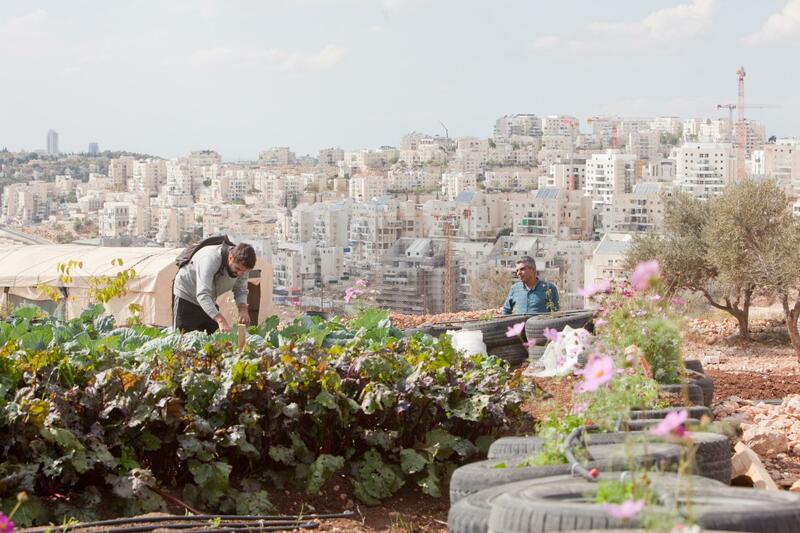 A Boston, MA, USA NGO raised money to purchase supplies to build the raised beds, netting for pest control, soil, and seeds for rooftop gardens in Aida Camp. In this photo a few teenage boys who live in the Camp walked through narrow winding streets and up long flights of stairs so they could deliver seeds to the gardeners. Occasionally they passed a poster or picture of someone who’d been “martyred”, killed, by Israeli soldiers. 27) Brothers: Rabbi Froman and Haj Ibrahim, Spring 2009 Rabbi Menachem Froman, an Israeli Jew, and Haj Ibrahim Ahmad Abu El Hawa, a Palestinian Muslim, loved each other like brothers. They are two of four co-founders of the Jerusalem Peacemakers. In this photo they're at Rabbi Froman's daughter's wedding. 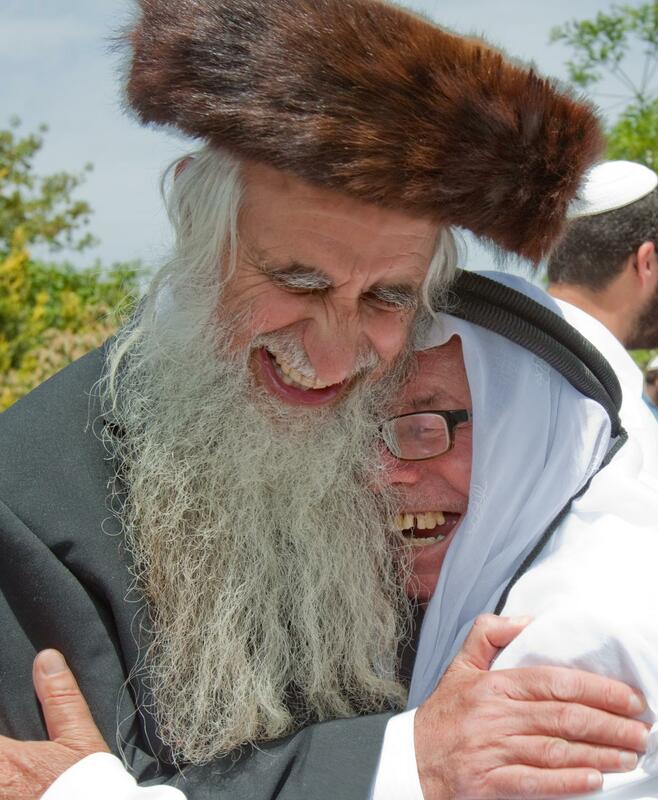 Rabbi Froman, who passed on in 2013, lived in the West Bank settlement of Tekoa. He stated he wanted to live under a Palestinian government. Yasser Arafat called him “brother” and said that if more Jewish leaders were like Rabbi Froman, there would have been peace years ago. He traveled to Gaza and met with leaders of Hamas and advised Israeli leaders to meet with them also. Ibrahim lives on Mt. of Olives in East Jerusalem and maintains a Peace House where his family has lived for centuries. He loves and is loved by Palestinians, Israelis, and travelers from all over the world for his legendary generosity and compassion. Since 2013 he’s struggled to pay monthly fines levied by the Jerusalem municipality. The stress of trying to pay a sum he cannot raise every month has taken a terrible toll on Ibrahim's spiritual and physical health.